Michael D Higgins had a landslide victory in the 2018 Presidential Election, but fewer voters than ever turned out to vote. Overall, 1,492,338 people (43.87pc) of the electorate turned up to the ballot box today making it the lowest ever for a presidential vote. In 2011, 56pc of eligible voters turned up with 56.8pc voting Michael D. Higgins in for his first term, ahead of fellow returning candidate Seán Gallagher. In 2004, then incumbent president, Mary McAleese, who had nominated herself in accordance with the provisions of the Constitution, was the only candidate nominated. Accordingly, she was re-elected for a second seven-year term of office without the need to hold an election. 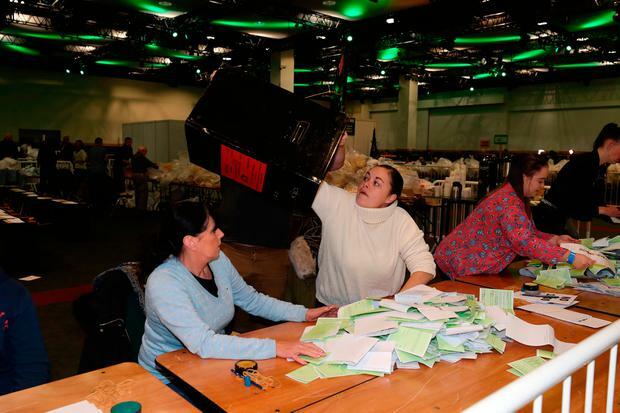 The current lowest percentage turnout of Irish voters for a presidential election was in 1997 when Mary McAleese became the 8th President of Ireland with only 47.6pc of the electorate turning up to cast their vote. 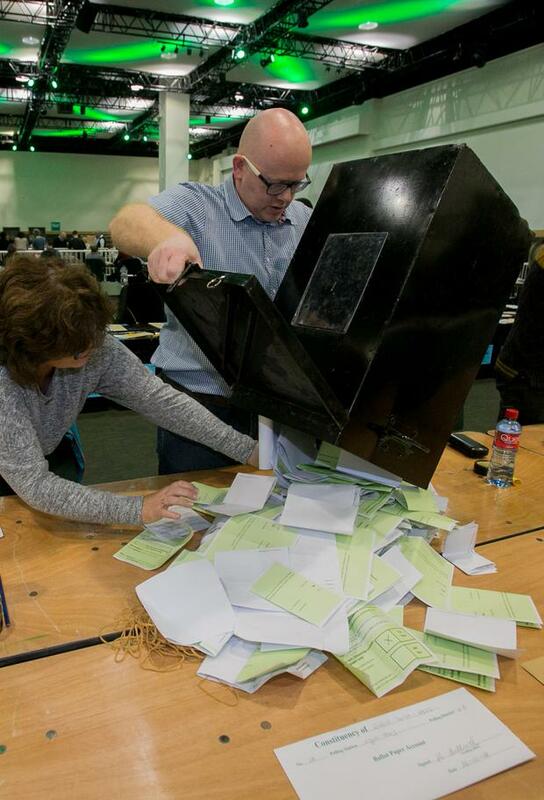 Mrs McAleese enjoyed 55.6pc of the vote as she defeated Mary Banotti as her closest rival. Ireland’s system of voting, proportional representation by the single transferable vote (PR-STV) came into play in 1990, when the elected president was again fortunate to come out on top of a narrow vote. Mary Robinson became Ireland’s first-ever female president after Brian Lenihan received the most first preference votes from the 64.1pc turnout but was pipped to the post when Mrs Robinson won on a final count of 51.9pc. In the Irish presidential election of 1983 outgoing President Patrick Hillery agreed under enormous political pressure to seek a second term. As only Mr Hillery was nominated, he was declared re-elected without the need for a poll. The Irish presidential election of 1974 resulted from the sudden death in office of President Erskine H. Childers. Cearbhall Ó Dálaigh was elected unopposed as the fifth president of Ireland. 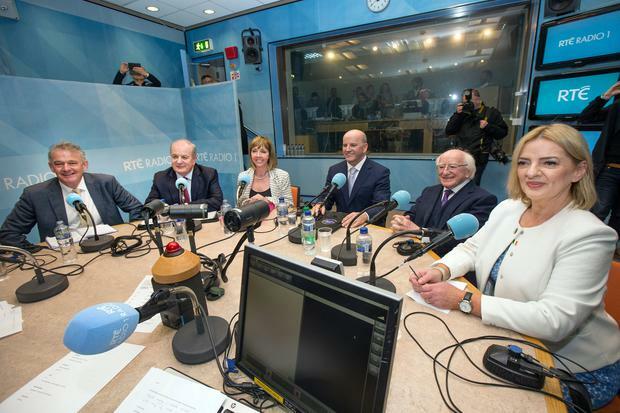 Fianna Fáil politicians have a strong history in presidential elections with large turnouts. A fellow party member of de Valera, Erskine H. Childers was also successful in 1973 when 62.2pc of the electorate turned up to vote. It was he who ended Tom O'Higgins second successive unsuccessful campaign as he scooped up 52pc of the vote. A record percentage of 65.3pc of voters turned out for the presidential election in 1966. Incumbent president Éamon de Valera, standing for Fianna Fáil was narrowly re-elected, with Fine Gael candidate Tom O'Higgins coming within 1pc (or 10,718 votes) of defeating de Valera. In 1959, Éamon de Valera received 56.3pc of the votes to beat Seán Mac Eoin who failed for the second election in a row to secure the presidential office. Some 58.37pc of the electorate voted. An electorate turnout of 63pc, just under that of the record setting 1966, was present to vote in our first-ever presidential election in 1945. Seán T. O'Kelly benefited from the turnout when 55.5pc of voters chose him as Ireland’s first elected president, defeating Seán Mac Eoin. The Irish presidential election of 1938 was the first Irish presidential election, held to fill the new office of President of Ireland. Douglas Hyde was the only candidate nominated and became the first president of Ireland. 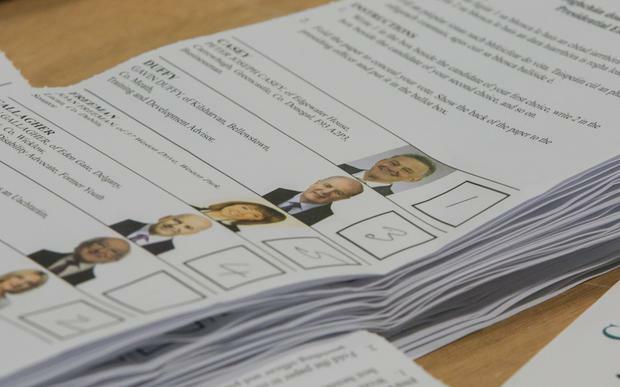 The blasphemy referendum is likely to see a very similar turnout to the presidential election however it is unlikely that it will reach the lows of previous referenda. Six previous referenda had lower turnouts than 40pc - the lowest in 1979 when just 28.6pc voted on adoption and university representation in the Seanad. Explainer: How can the presidential candidates get their campaign money back? John Downing Has Mary Lou McDonald's Sinn Féin lost its campaigning edge under her leadership?